"Use sentence-level context as a clue to the meaning of a word or phrase." 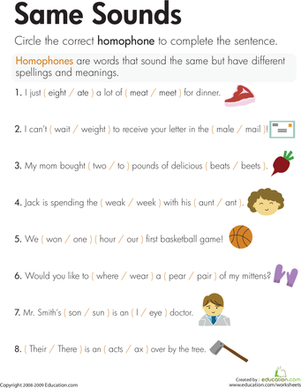 Idioms are especially difficult for English Language Learners! 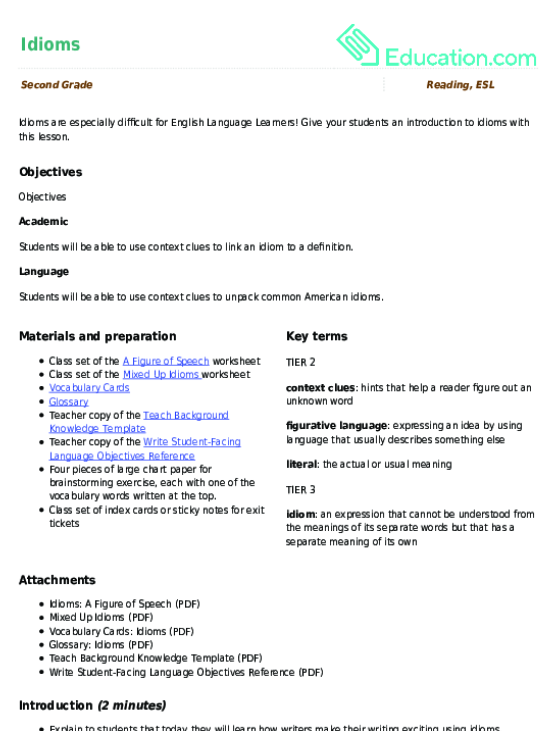 Give your students an introduction to idioms with this lesson. 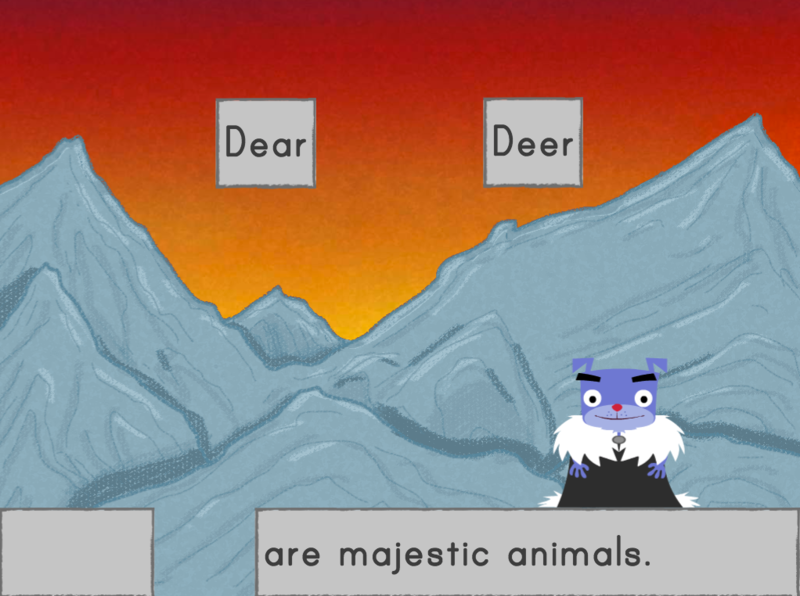 Kids practice spelling and vocabulary as they choose homophones to complete sentences in this reading game. Work on reading comprehension with this quiz to practice using context clues to find the definition of a word. Students will have better reading comprehension skills after completing this exercise that shows them how to pick out contextual clues.